Back in the 70’s it was jogging and long cardio. In the 90’s we saw different forms of dance aerobics emerge as the new and hip workouts. Now, in the year 2013 we have come quite a long way in the kinds of workouts we can do. From Crossfit to Spartan Training to TRX training to high intensity home workouts. If you like competing, you will love Crossfit. The workouts you will find here are unique, incredibly challenging, and quite fun. The workouts are designed to constantly challenge your body, mind, and willpower. What might be even better than the workouts themselves is the community around Crossfit. The following they have built is nothing short of amazing. Crossfit gyms around the country strive to build community, and this has resulted in the very popular Crossfit Games which airs on ESPN along with multiple other competitions they put on. If you are looking for great workouts and an even better community, Crossfit may be your best bet. Finisher workouts are something that are becoming more and more popular, and for good reason. These workouts are placed at the end of your workout and can take anywhere from 2-10 minutes to complete. What finishers allow you to do is engage in a very high intensity cardio and strength circuit that will help you burn more calories and fat from your workouts. And many times these finishers are so difficult and intense that can be done by themselves for your full workout. If you want a place to start, I highly recommend taking a look at Mike Whitfield’s brand new Finisher workout program. These workouts are the real deal! Similar to Crossfit, Spartan Training consist of very challenging workouts that focus on functional strength. Essentially, Spartan Training not only helps you gain strength and burn fat, but it allows life movements (like walking, standing, moving) to become easier because of the movements you work on during your workouts. The most popular Spartan Training workout is the ‘300 Workout’ from the movie ‘300’. What I like about Spartan Training is that it can cater to you no matter what age. 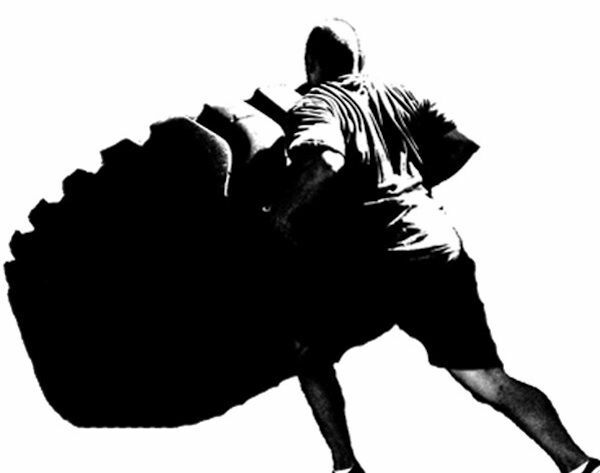 Whether you are a 20 year old athlete or a 50 year old business man, these workouts will help! People around the globe are starting to realize the power of sprints. Although many still avoid them at all costs, I have to recommend that you start sucking it up and sprinting 2-3 times per week. The benefits far outweigh your lack of motivation. Possibly the best part about sprints, aside from the immense fat burning, metabolism boosting, and positive hormonal response that it brings, is the fact that the workouts take no more than 10-15 minutes to do. It is the most efficient workout option on the planet! A simple definition of MRT is “compound exercises performed with little or no rest in between.” When you perform MRT workouts, what you are doing is increasing your metabolic rate so you can burn more calories and fat. MRT calls for you to use big, compound movements while keeping your workouts very high intensity. The extreme example of MRT is Crossfit and Spartan Training. However, you can easily create your own MRT workouts. Pick a few compound exercises then keep rest periods minimal throughout the workout. Each of the workouts above is very high intensity and will challenge you each time you go to the gym. If you want to start seeing the results you desire, you must bump up the intensity in your workouts. There is no way around it. The 70’s form of long slow cardio to burn fat is long gone. If you enjoy running, do it as a side workout not your main workout. It is time to get serious with what you are trying to accomplish. And one of your first steps in terms of workouts, needs to be bumping the intensity!